Sony Ericsson W810i Walkman is not just a simple mobile phone or handset, but W810i is also a trend-setting and powerful music player with everything you need for a mobile music lifestyle, as implied with the Walkman trademark attached to the phone. Sony Ericsson incorporates digital music MP3 player, FM tuner, music management software and accessories, 2-megapixel camera, 262.144 color 176×220 pixel TFT LCD plus all standard features for a quad-band cellphone with GPRS EDGE connectivity. 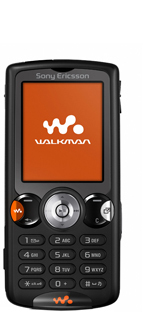 Other than Lordpercy and Mobiledia, there are more reviews for Sony Ericsson W810i Walkman. TrustedReviews reviews Sony Ericsson W810i Walkman phone and concludes with overall rating of 7 out of 10 that W810i is billed as a music fan’s handset and its 512MB MemoryStick Duo card and easy file copy facility is a good start. The dedicated music buttons help too, but its battery life and playback quality fall short of what dedicated players provide. In the end if you want music from a phone this handset is pretty much at the top of the tree in terms of features and capability, but it’s not going to come out on top in a direct comparison with a dedicated player.